Are You Walking In Your Kung Fu Shoes ? You are here: Home / Kung Fu / Are You Walking In Your Kung Fu Shoes ? Maybe it’s just me or maybe you know what I am talking about. Many moons ago, my father taught to have honor and respect for all martial arts. 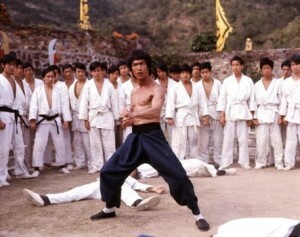 In today’s world though it seems that many martial art practitioners do nothing but slam other people and styles. Where is the universal respect? I gravitated towards the martial arts because of the values that I learned from training. Maybe your sitting there right now and you are also wondering where did all the love go. My best guess is commercialism has gotten the best of the martial arts community. Certainly if you look hard enough you can find people who inspire and command respect. What does it mean to wear your kung fu shoes? It means getting up everyday and respecting the person next to you. It means training and leaving your ego at the door. It means finding the value in all the martial arts. Like humanity martial arts all started from the same root. We are all linked through that beginning. As we move into the future we can take this ancient wisdom and improve it has people have always done. I believe the past 60 years have been a blessing and a curse. A blessing because you have an opportunity to learn from people around the world. A curse because martial arts is a popular pass time for people. Society has found ways to corrupt it and take something that is beautiful and make it ugly. Everybody was KUNG FU DANCE Walking! Your Kung-Fu Is Good, But You Are No Match For My Great Egret Style!